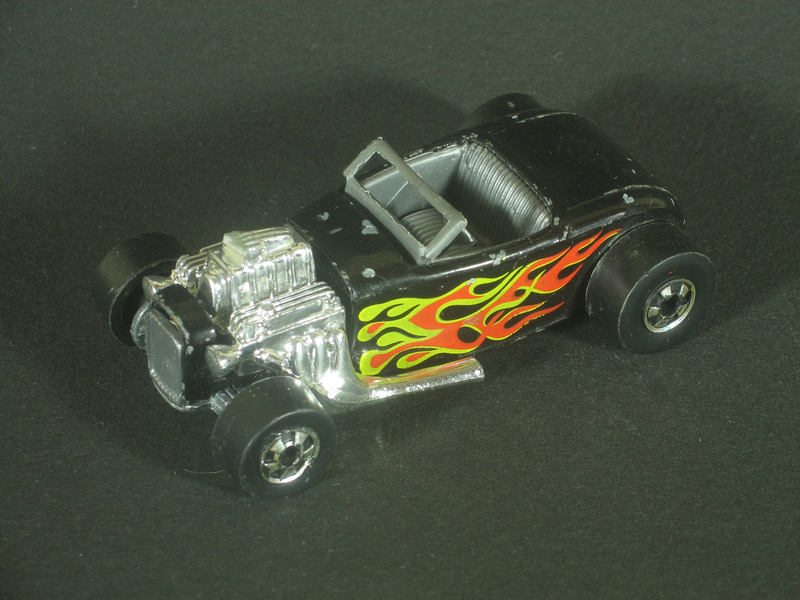 Last weekend I scored a nice bunch of Hot Wheels from a thrift store. 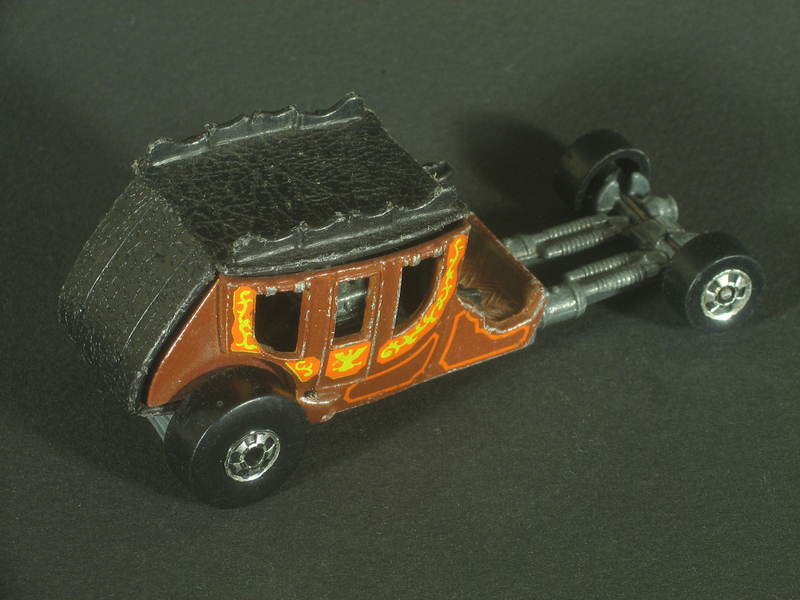 My wife and son alerted me to a full 48-Car Carry Case (actually it was over-stuffed with more than 60 cars). 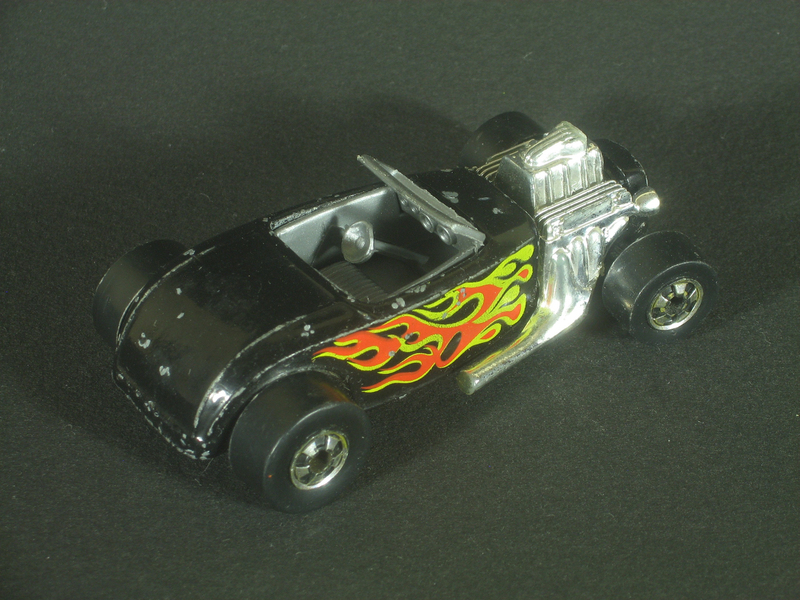 I couldn’t talk the man into separately selling me the only two cars in the case that I really wanted, so I opted to invest in the whole lot. 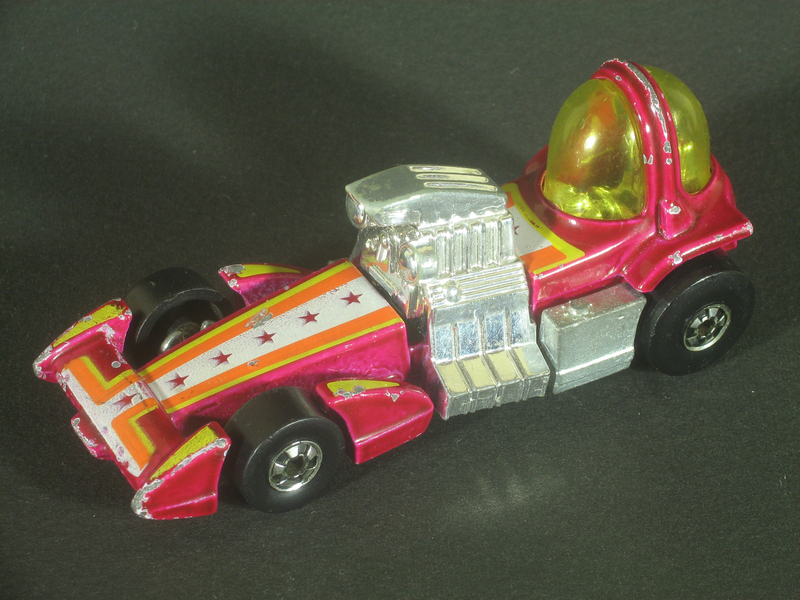 The Larry Wood designed Bubble Gunner was released in 1979. 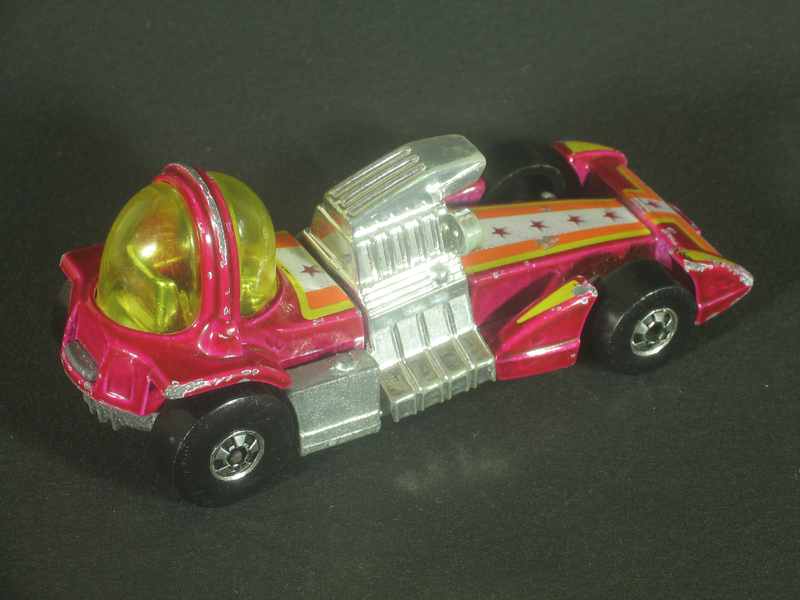 Aside from the slightly dislocated chrome plastic engine and some play wear, this magenta version is in fairly decent shape. 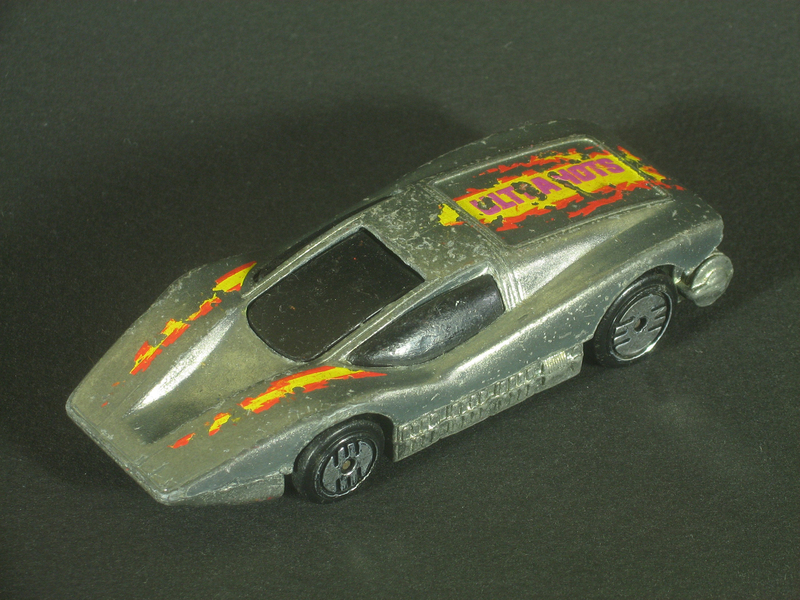 Though I already have one of these, the Street Rodder from 1977 is a classic casting which is worth owning in pairs. 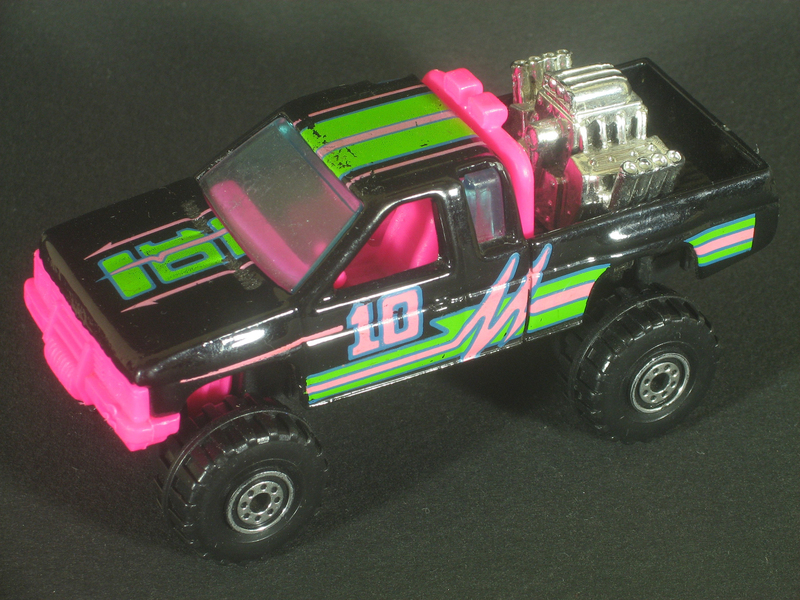 In addition to the large case of cars, I also picked up a 7-dollar bag of cars that held an assortment of blackwalls. 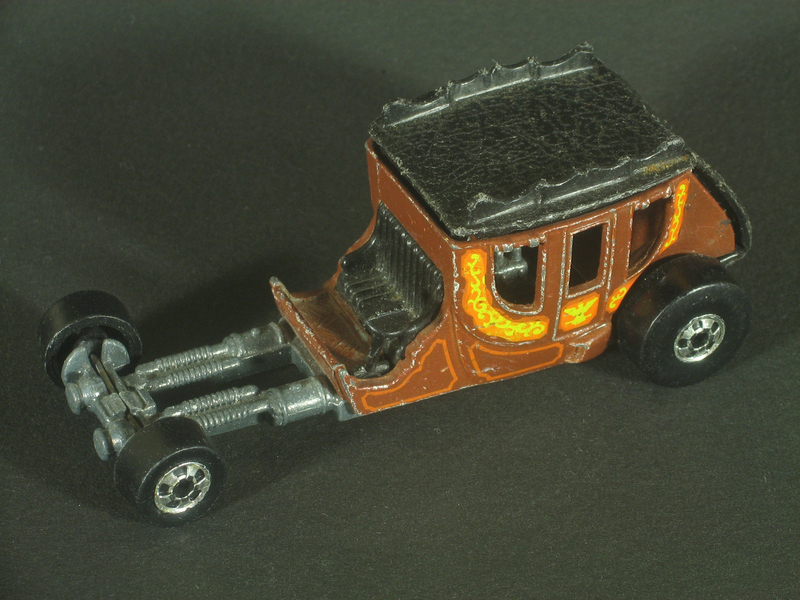 Stagefright, first released in 1978, is a stagecoach-inspired hot rod that looks to me like it’s missing an engine. 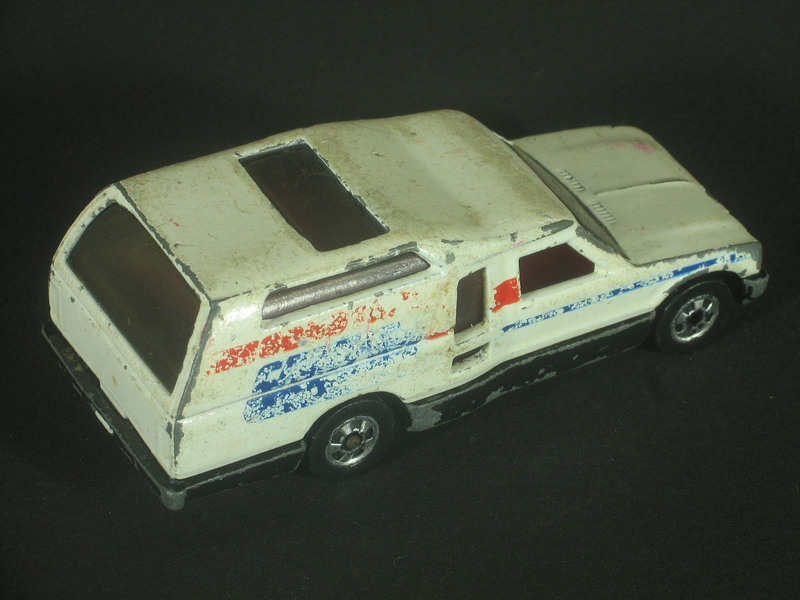 However, if you look closely, you can see a small 8-cylinder engine tucked inside the passenger compartment. 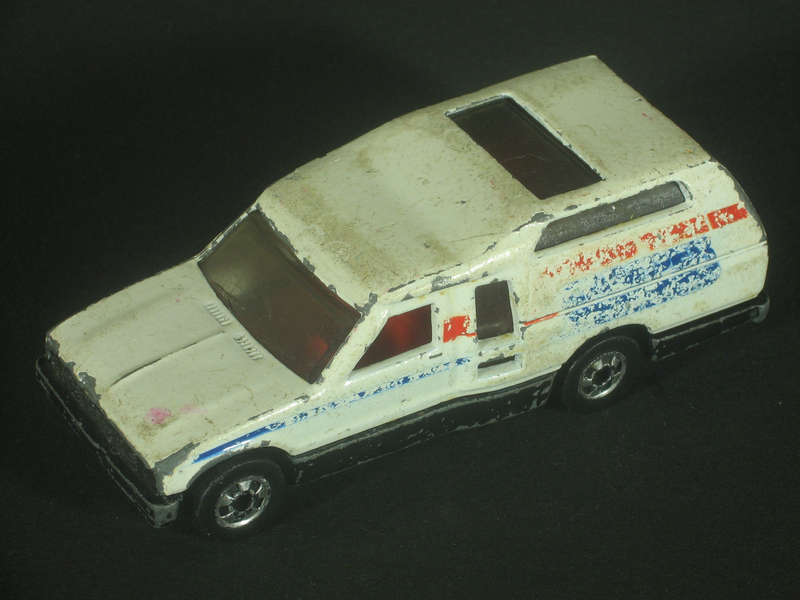 This Malaysia-cast version is from 1982. 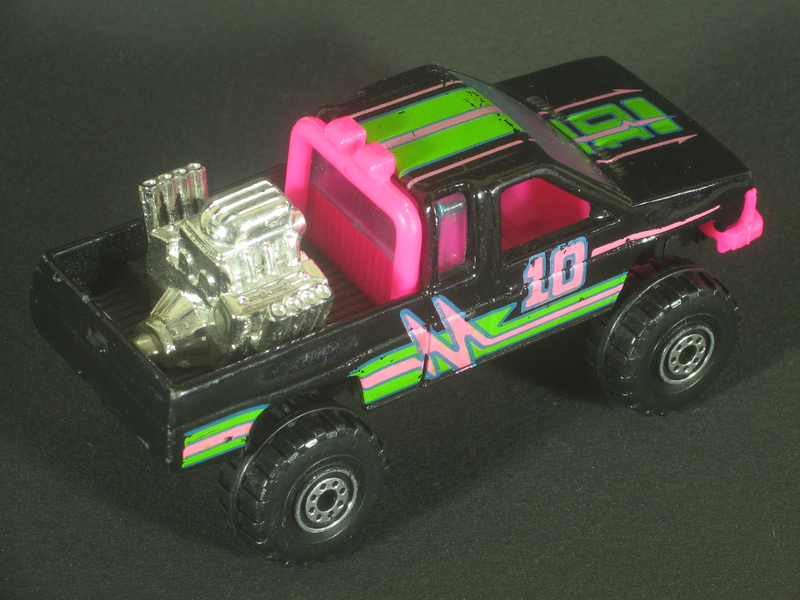 Based on the 1979-81 Toyota Truck series RN30 with a Chinook rear, the Minitrek from 1981 may be one of the ugliest Hot Wheels castings ever, reflecting the questionable automotive design trends of its time. (I’d love to hear comments on this topic!) 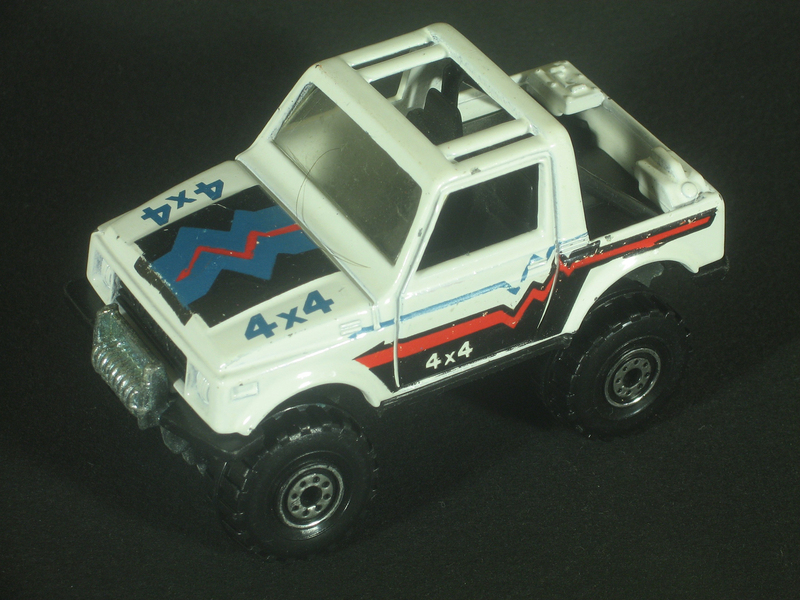 Though you can’t tell anymore on this white version from 1983, the tampo on the sides reads “Good Time Camper”. 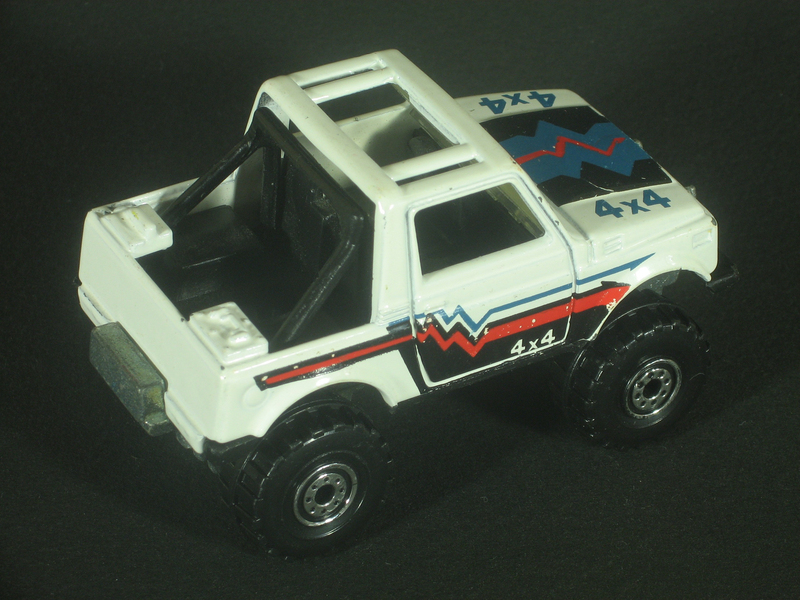 This black-based version is worth considerably less than the rare brown-based variation. 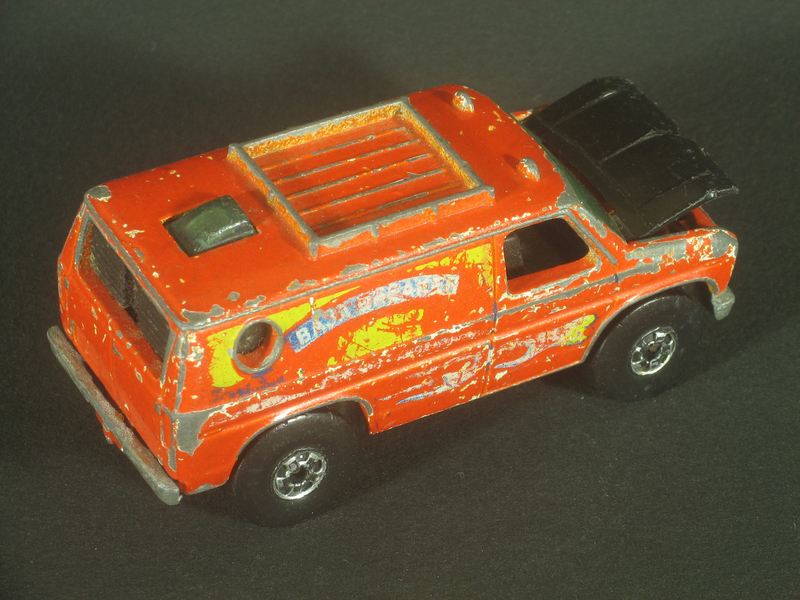 There is a famous story about the Ramblin’ Wrecker from 1975: Designer Larry Wood put his home phone number on the sides and as a result received phone calls from kids across the county after it was released. This is the later version, after the phone number was removed. 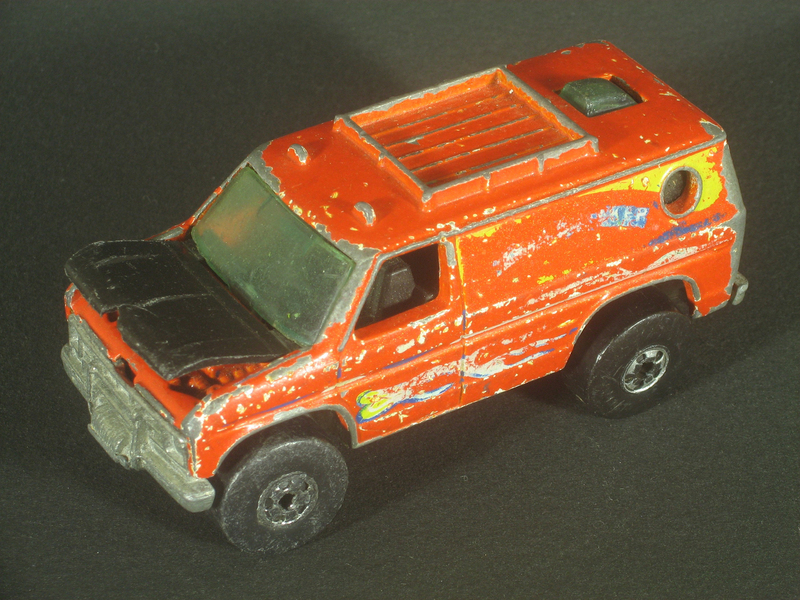 This one is also missing its tow hook. 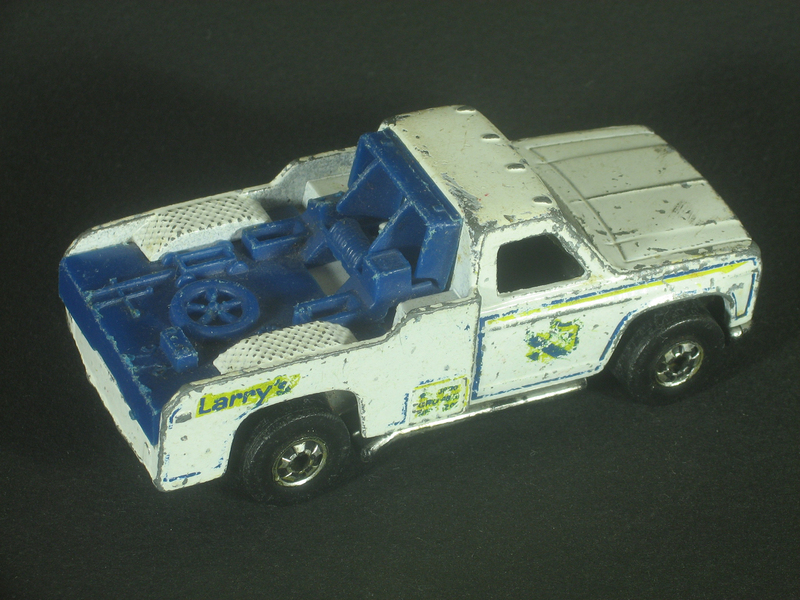 In 1975, Larry Wood also designed the Large Charge, which was later released in 1985 as Silver Bullet, and then in the 90s as Aeroflash. 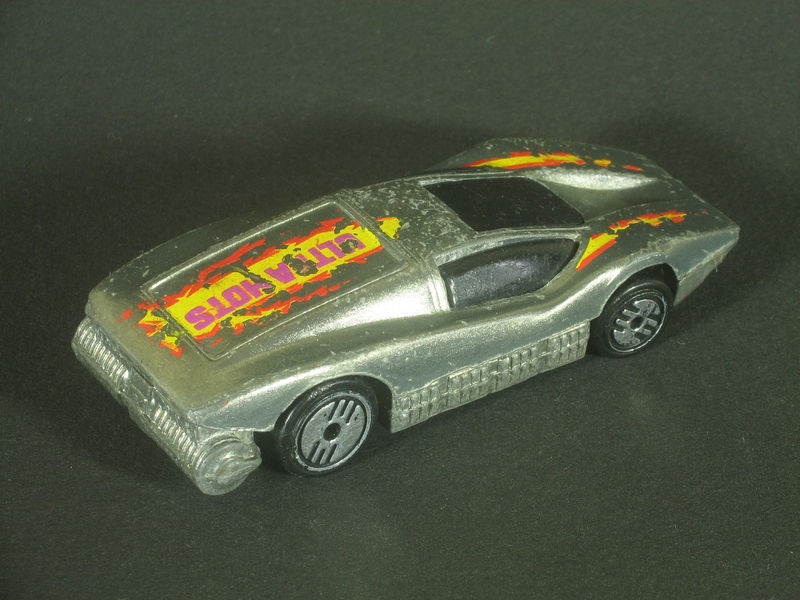 The Silver Bullet here has the very 80s-looking Ultra Hot wheels and red, purple and yellow tampo. 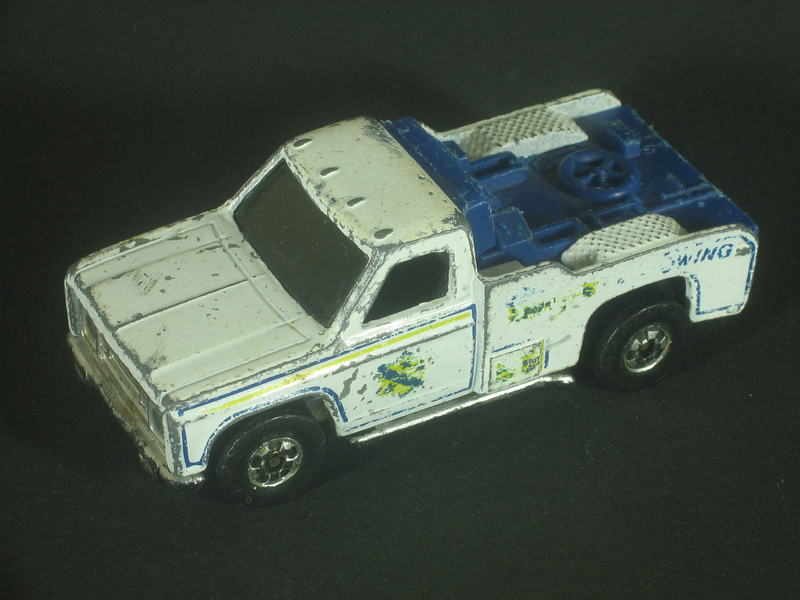 And finally from my 7-dollar bag (which also contained a number of Chinese cars and two diecast Thomas the Train engines) here are two castings originally from the late 80s, the Nissan Hardbody and the oddly-named (Suzuki) Street Roader.